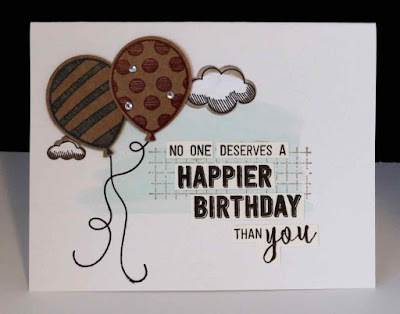 Karina's Kreations: Stampin'Up Balloon Adventures Card! This cute swap card uses the Balloon Adventures stamp set which is retiring on May 31. I love how it coordinates with the Balloon Bouquet punch. We're making this card at a private card party this week. We're making 4 cards and they are free with a minimum order. I wrote out a cost list for this cute card and then came up with a less expensive version using the notecard and envelopes. I'll put the second version on instagram if you wanted to see the card. To order your supplies in Canada, click this link.